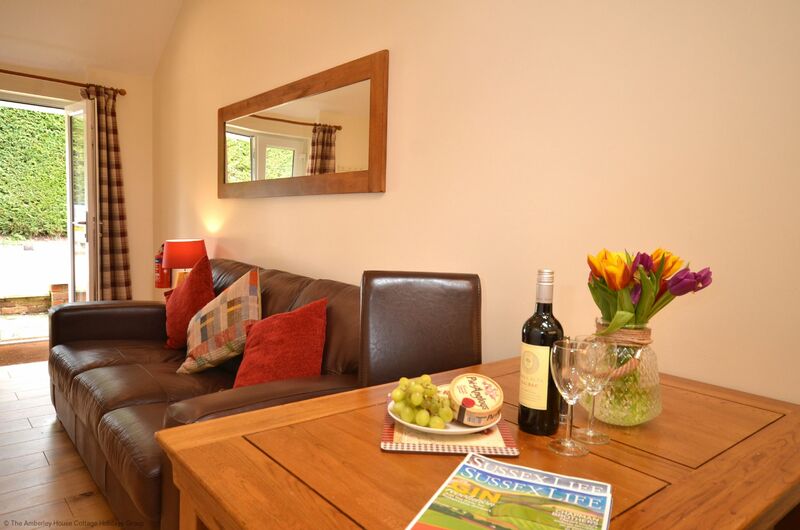 A perfect pet-friendly cottage for two; ideal for a short break or a walking weekend with easy access to lots of attractions in the local area. 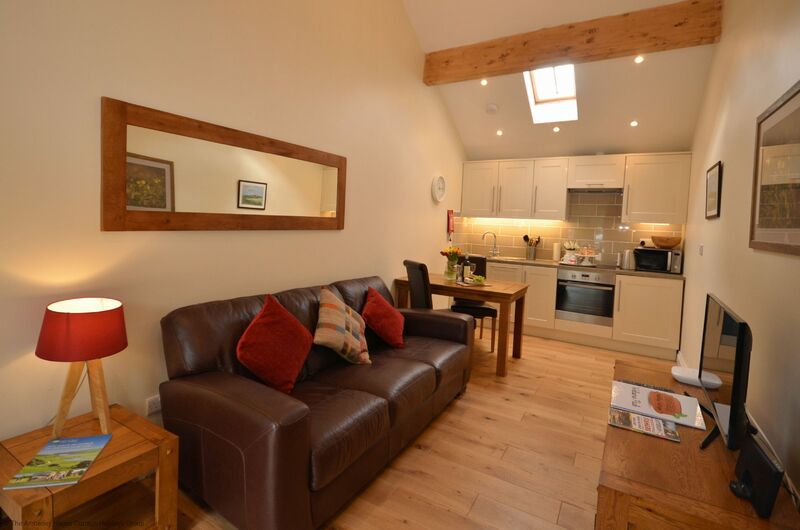 Buttercup Byre has been lovingly converted into a modern holiday cottage. 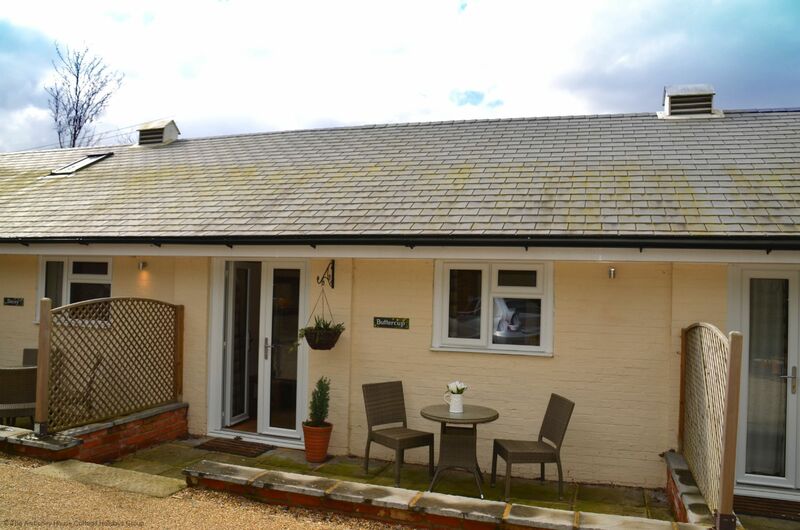 Located on a quiet country lane with footpaths and bridleways just outside the door, perfect for a countryside stroll to the nearby canal or to the quintessential village of Wisborough Green with its 12th century church and the village green which holds regular events such as fetes and classic car rallies. 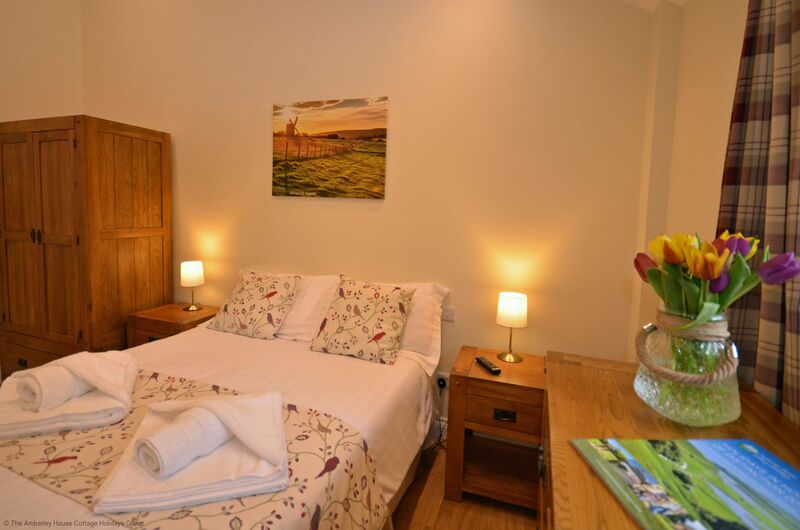 The cottage is tastefully and comfortably furnished and, as all the accommodation is on one floor, is easily accessible. 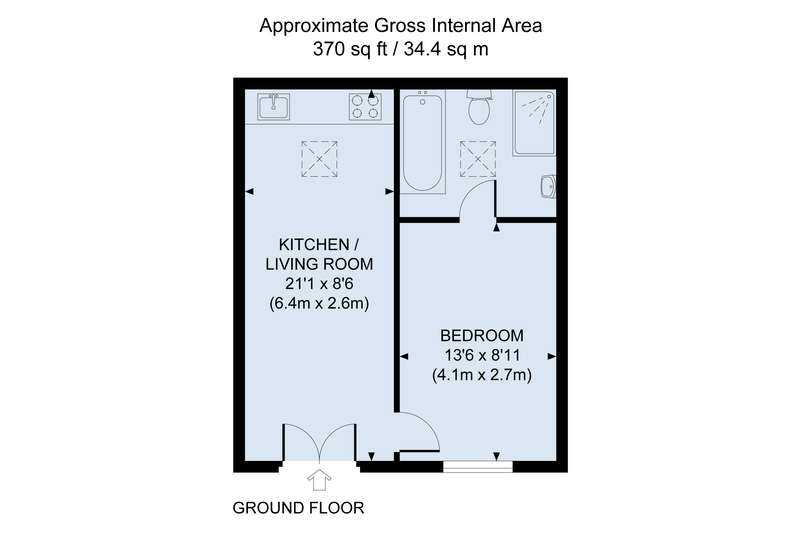 The living area is all open plan with real wooden floors, leather furniture, Freeview TV and WIFI, as well as underfloor heating throughout . 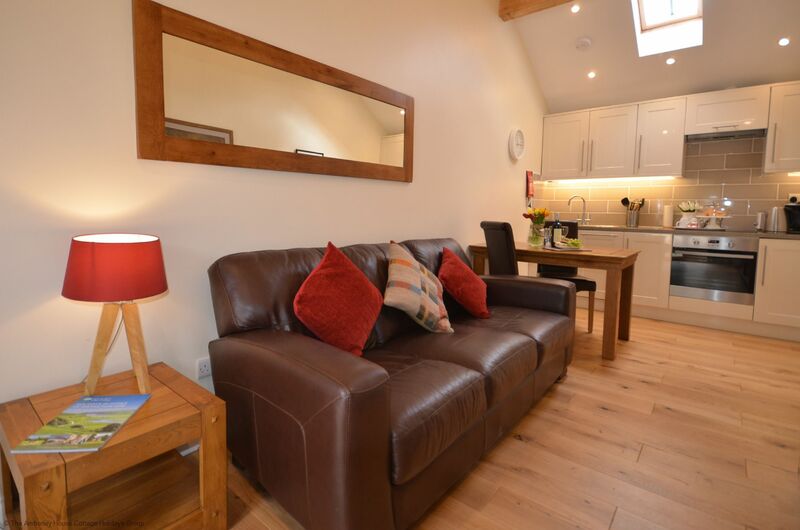 There is a comfortable leather sofa in the lounge area and a dining table provides seating for four and the kitchen is well appointed with full-size hob and oven, and fridge freezer. 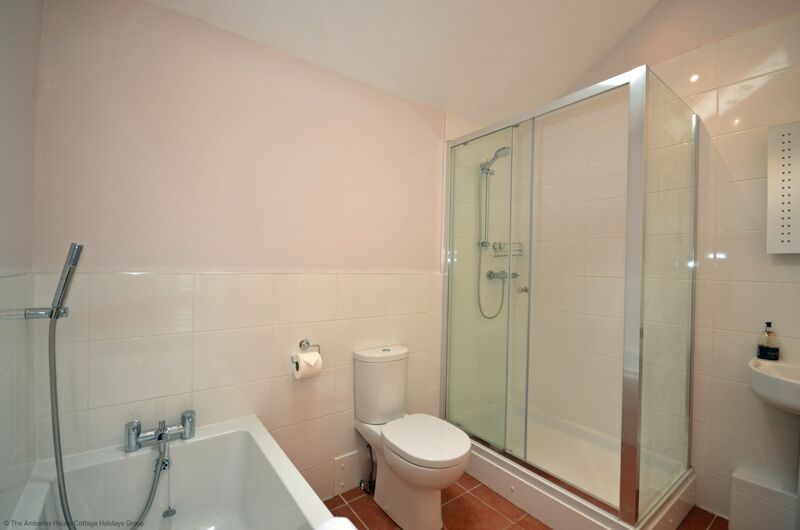 There are also external shared laundry facilities available. 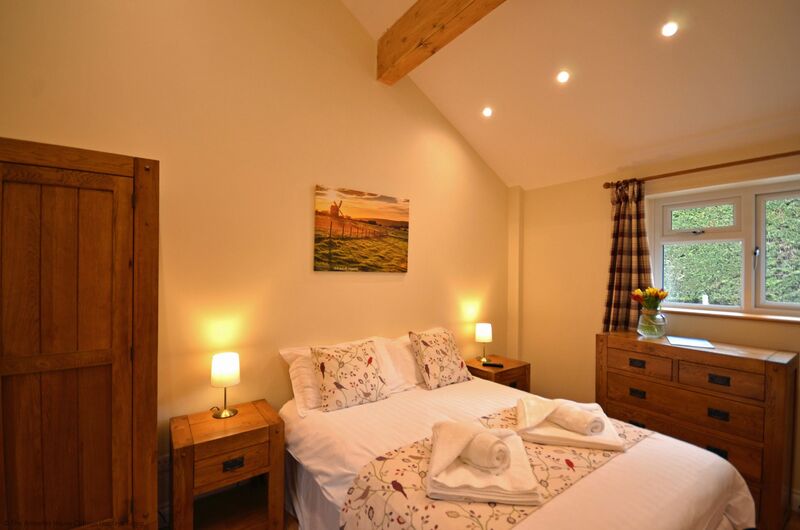 The double bedroom has traditional oak furniture storage and the modern bathroom has both a shower cubicle and a full bath as well as a basin, WC and heated towel rail. Outside there is a small patio area so you can enjoy a morning coffee or evening glass of wine. There is an allocated parking space in the gated driveway for one car. 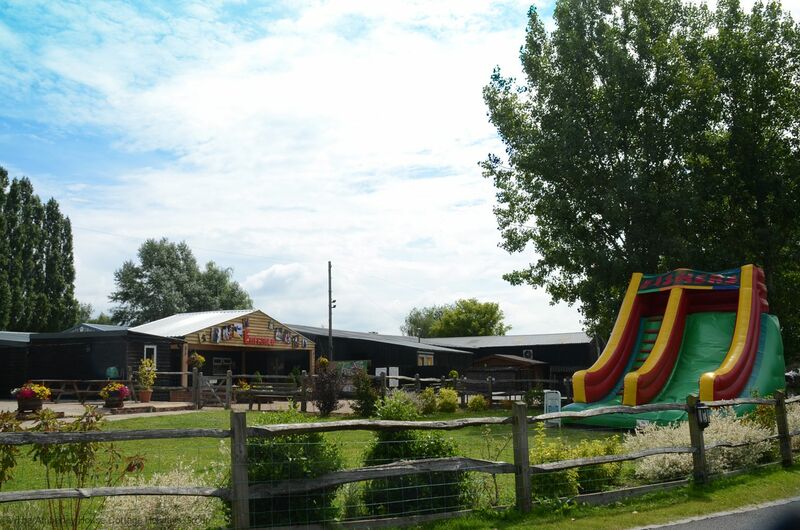 There is access to public bridleways opposite where you can meander eastwards across the fields towards the River Arun, westwards towards the South Downs National Park or head to the nearest pub which is 5 minutes walk away. 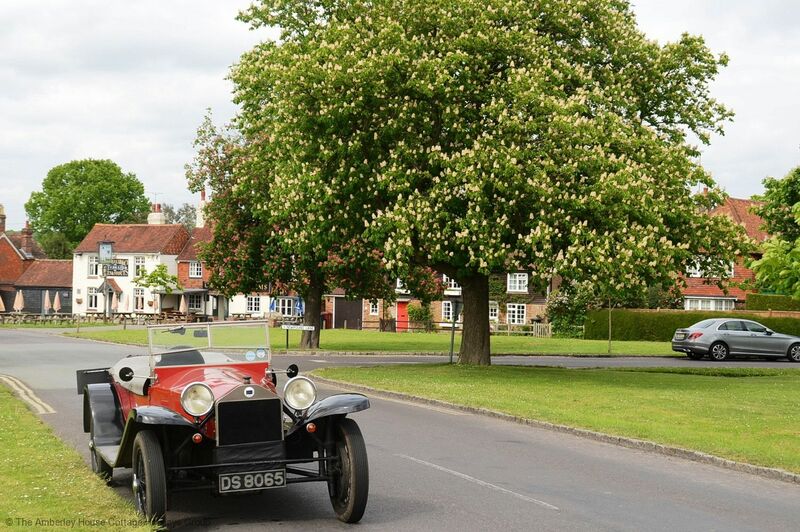 The charming village of Wisborough Green is just one mile away from Buttercup Byre. 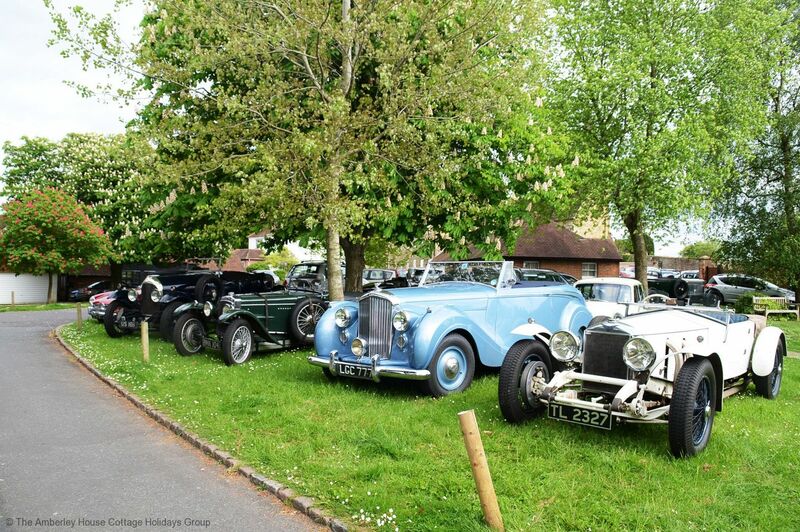 The central village green is a postcard perfect snapshot of old England with cricket regularly played throughout the summer months and there are two delightful village pubs overlooking the green to take in the view with a glass of refreshing local cider. 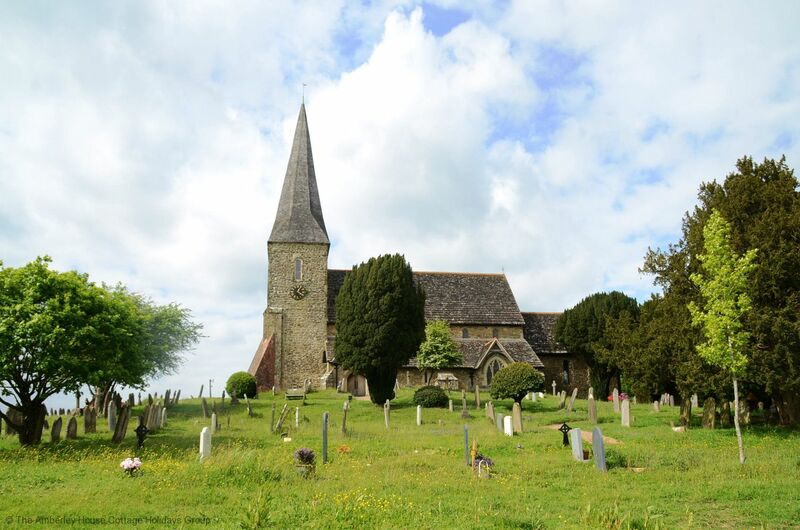 The parish church, St Peters, sits atop a hill and has lovely views of the surrounding countryside. The earliest document that mentions the church is dated 1227, the eleventh year of the reign of Henry III. 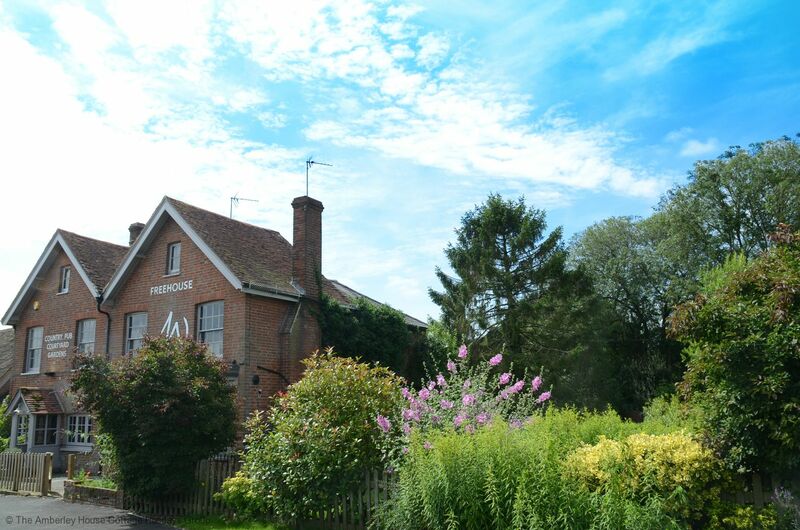 There are several local walks around the village of Wisborough Green which incorporate the canal, the river and the beautiful surrounding countryside. Further west from Buttercup Byre and you enter the South Downs National Park with its plethora of hikes, walks and trails alongwith numerous sporting activities such as cycling and paragliding. The Wey and Arun Canal section at Loxwood is just a 5 minute drive from Buttercup Byre. 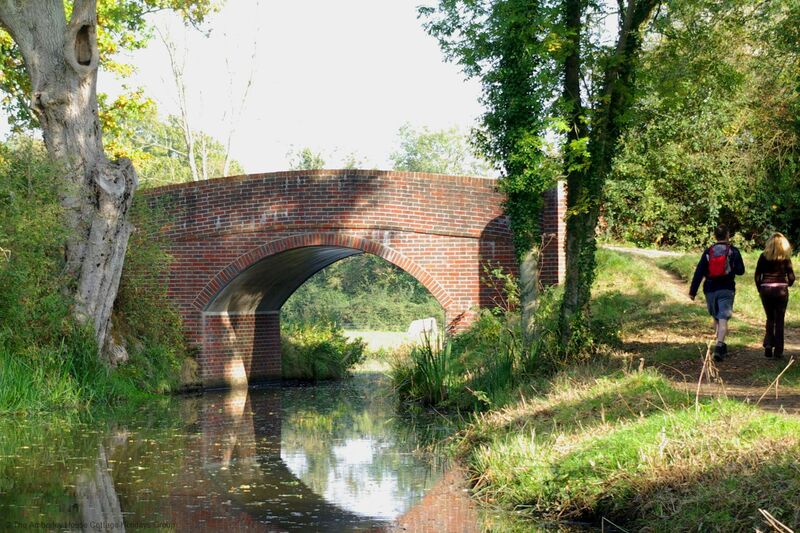 The canal runs through Surrey and West Sussex, and the rural waterway is recognised as a natural heritage asset as well as providing a haven for wildlife. There are several ongoing restoration projects and lengths of the canal are now in water and you can now take trips on this idyllic Loxwood section of the canal. 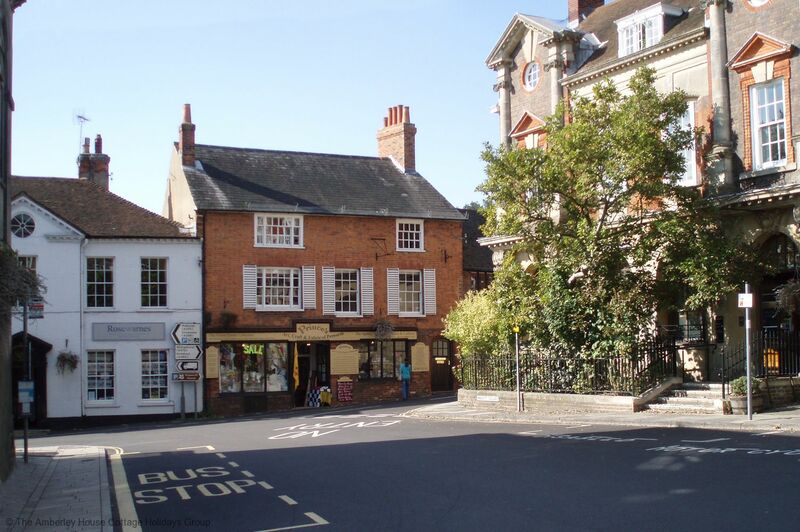 Just 7 miles away is the beautiful town of Petworth, this historic market town is best known as the location of the stately home Petworth House and deer park which was landscaped by Capability Brown. The house and its grounds are now owned and maintained by the National Trust. The magnificent country house contains an internationally renowned art collection with numerous works by Turner. The town is full of quaint houses and cottages, many within their own courtyard settings. 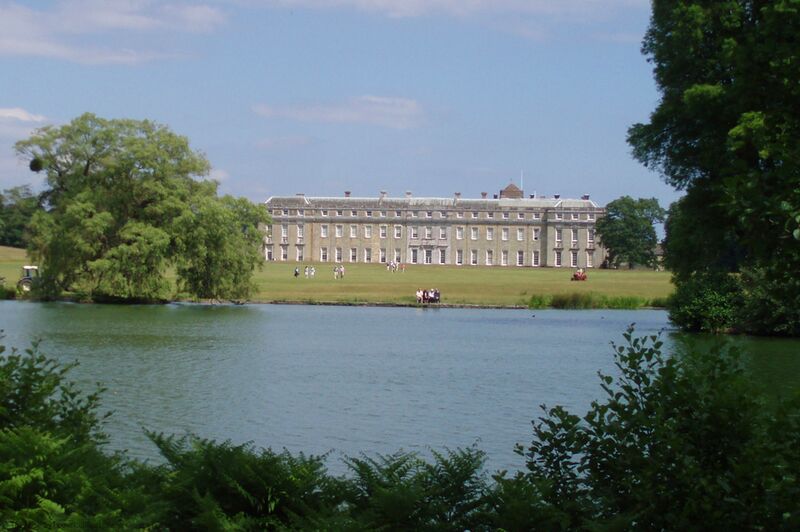 They are interspersed with antique shops and tea rooms so it makes the ideal place for a stroll following your enjoyment of Petworth House and Park. 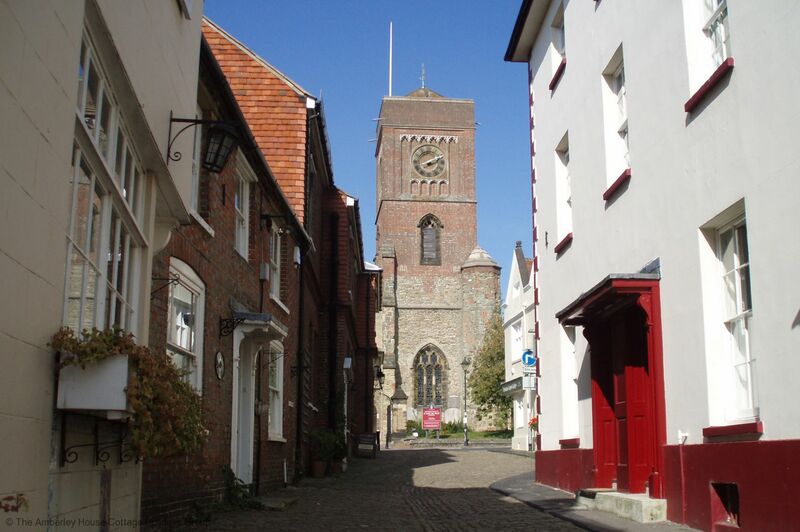 Further on from Petworth you will find Midhurst nestling next to Cowdray Park. 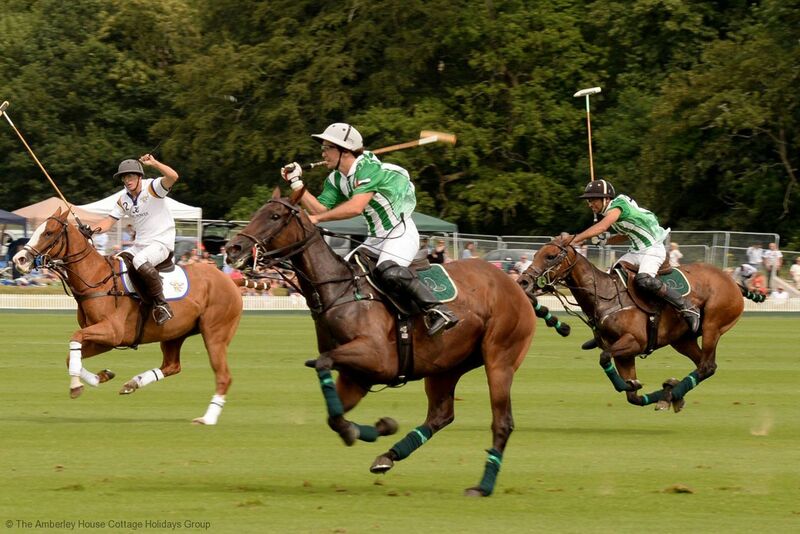 The Cowdray Estate is most famous for its polo club particularly in June and July when the polo set meet for the Gold Cup. The Cowdray ruins are also of note since they were important early Tudor courtiers' palaces built from 1520 and form an impressive backdrop to Midhurst. Warnham Nature Reserve situated near Horsham, just 10 miles from Buttercup Byre, is a 92 acre nature reserve dominated by the 17 acre Warnham Mill Pond that was originally created as part of the Sussex iron working industry. The mill pond is fed by two streams and there are three smaller ponds for pond dipping. Two board walks give access to wetlands and woodlands and there is a wide range of wildlife to be seen such as heron, deer and foxes. Buttercup Byre - 533029 Buttercup Byre. 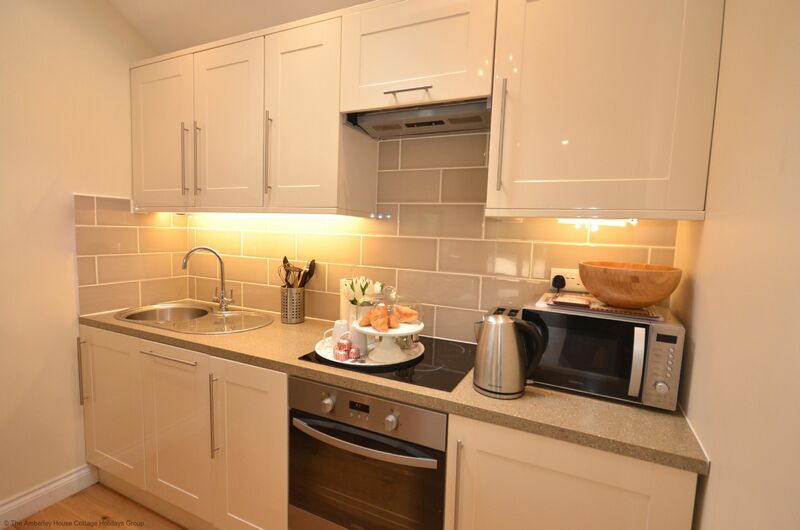 Pet friendly cottage for two set in the Sussex Weald. Ideal for walkers and visitors to Fishers Farm, Petworth, Midhurst and the polo events at Cowdray Park. "Warm welcome on arrival with fresh homemade cakes on the table in the kitchen. The owners and staff were very kind and helpful throughout my stay. Plenty to do and see and well located for visits out. I definitely want to go back it's such a good place to be. Many thanks to Mandy persuading me to see the animals even though I had my dog with me, just loved it. Thank you everyone. "